On a cold October morning well before sunrise, the Milky Way rises out of Santa Elena Canyon in Big Bend National Park. 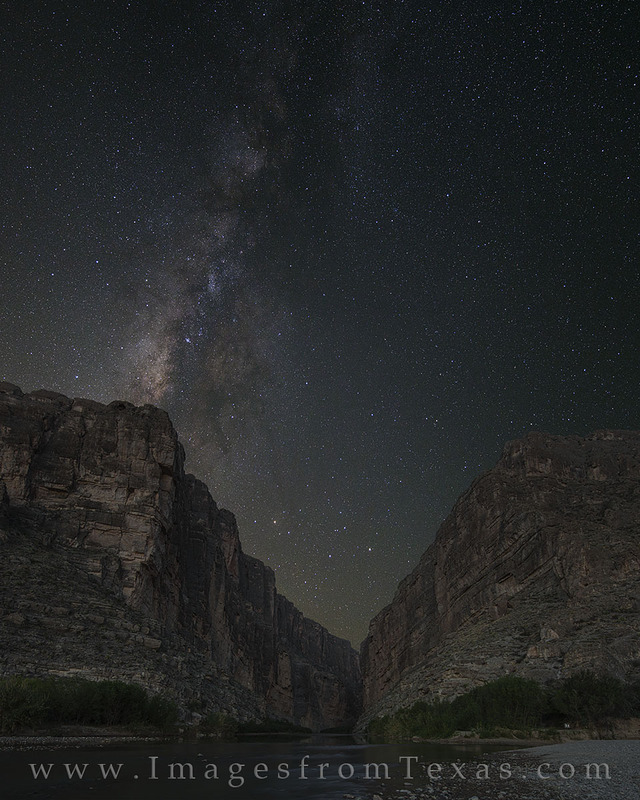 The canyon walls are 1,500 feet high, so hopefully this gives an honest account of the vastness of this remote area in Texas as well as that of the night sky. It was an amazing sight. Photo © copyright by Rob Greebon.